Is this how the iWatch will look? Bill Campbell, a Silicon Valley heavyweight and Apple board member, has dropped a subtle hint that the company may be working on more "intimate" tech, including the heavily rumoured iWatch. Campbell, who was a close personal friend of Steve Jobs, praised the Google Glass project as a "phenomenal breakthrough" which would usher in a new era of technological intimacy. Speaking to employees at Intuit, the software firm where he serves as Chairman, Campbell said there were "a lot of things going on with the application of technology to really intimate things". "When you start to think about glasses or watches, they become as intimate as the cell phone was." While this is far from confirmation that the company is indeed working on an iWatch, it will add to the growing feeling that something is indeed in the pipeline. Recent reports have suggested that Sir Jony Ive is behind the wearable iOS device, which is expected to perform many of the tasks currently fulfilled by the iPhone and iPad. 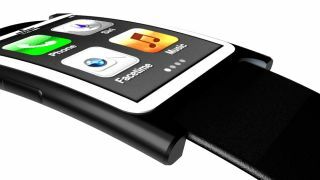 Other reports have suggested it'll be made of super-tough curved glass that'll conform to the shape of the user's wrist. The company is also said to have over 100 engineers working on the project, with a November launch date currently being touted.